I’m down to my final days of living in Bowling Green. It’s certainly not going to be my last time in Bowling Green, with my friends and such here, but I’m going to miss it a lot. Yesterday I said my goodbyes to both Corey and Alex, and while I managed to keep my cool, I did tear up a little bit both times, after Corey gave me the finger one final time, and when Alex and I made fun of Angel’s class for (clearly not) the last time. I had my last meal at Pollyeye’s, and it was delicious as always. I’m working my final shift at the bakery right now, and this is going to be one of the places I’ll miss the most. 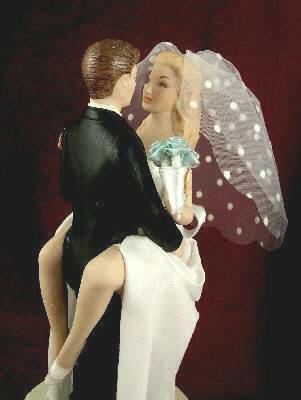 Yesterday I was in using the internet and Mer showed me a super classy cake topper for this week’s wedding cake. She then told me all about the bride and her dog (who also has a wedding gown for the occasion) and that “She is a little virgin, so she’s allowed to wear white!” which was then concluded with “but not me!” Poor/lucky Meredith… she’s just the cake decorator. Anyway, the bakery is great. And I love it. MTV Films is remaking one of my favorite movies of all times, and I can’t even possibly muster up any sort of positive thought about it. Announced today in Variety, 20th Century Fox and MTV Films are remaking the 1975 cult classic, The Rocky Horror Picture Show. Ugh. Today we wrapped the kids’ short, Sam’s Journal. (They aren’t totally positive on the name yet, but that’s been our working title.) Since they’ve worked so hard this week, we are having a fun day tomorrow, and they will get a few options of things to watch. 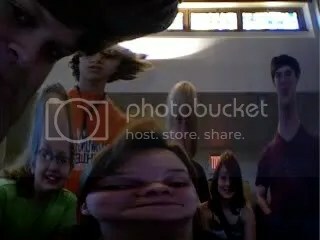 It’s as overall great group of kids who make me laugh, and I will miss them after next week. High Fives: No longer cool?